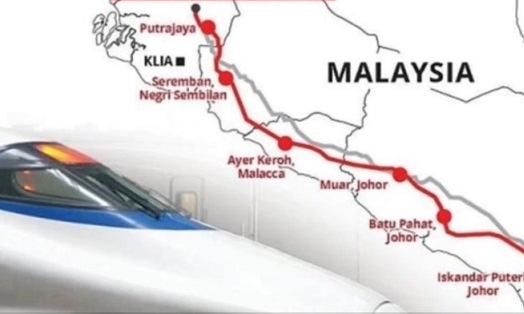 KUALA LUMPUR: MyHSR Corporation Sdn Bhd (MyHSR Corp) has selected two consortia as Project Delivery Partner (PDP) to assist with the civil works portion of the Kuala Lumpur-Singapore High Speed Rail project. The consortium of Malaysian Resources Corporation Bhd (MRCB) and Gamuda Bhd has been selected for the northern portion of the alignment, while the southern portion’s PDP will be the consortium of Syarikat Pembenaan Yeoh Tiong Lay Sdn Bhd (YTL) and TH Properties Sdn Bhd. “The PDPs will be responsible for designing and delivering the civil works for the KL-SG HSR project at an agreed cost and schedule. It shall carry out all necessary activities throughout the planning, construction, testing, and commissioning phases, amongst others. The tender also promoted involvement of Malaysian firms consistent with the government’s procurement objectives to stimulate and encourage the growth of local industries through optimal usage of local resources and materials. “The PDPs will bring both local and international experience, through their own experience in building railways in the country and through partnerships with HSR experts, and together, we will build the KL-SG HSR project,” MyHSR Corp chief executive officer Datuk Mohd Nur Ismal said in a statement. The PDP tender that was called on November 22, 2017 was conducted via an open tender by MyHSR Corp. The tender was open to parties with experience in railway design and construction, familiar with Malaysian Railway construction practices and regulatory requirements, as well as the Malaysian supply market conditions.